I spent a recent weekend in San Juan Bautista, a town I recommend if you want to get out of the city for a day or so and see some of the great aspects of another kind of classic California. You can see the famous Mission, pick up some nice antiques, look for the local Oddfellows chapter, have a chat with one of the chickens loitering all over town, try to match old pictures from postcards to their current locations, and end the night dancing to live music at Daisy’s Saloon. 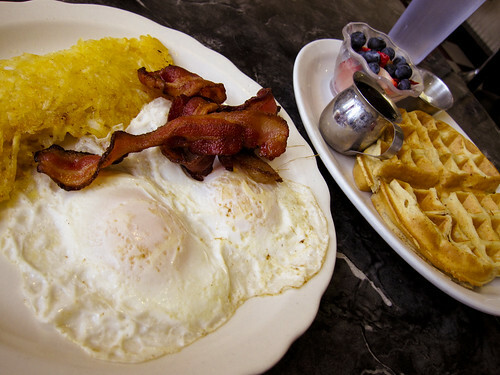 If you happen to awake on a late, sleepy Sunday morning at either the San Juan Inn or the Posada De San Juan and wish there was an excellent brunch spot nearby, you may want to find your way to the corner of Third and Mariposa, to Mission Cafe. The inside looks pretty much as you’re picturing it. Oh man. The brunch here. 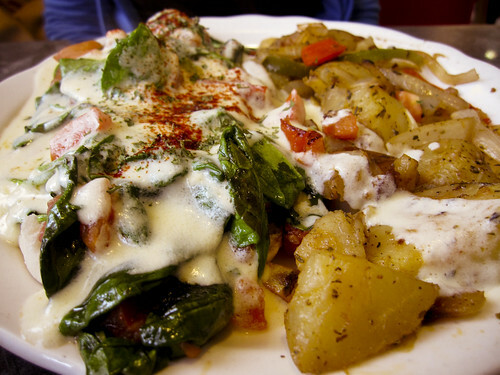 The eggs benedict was awesome with spinach, tomatoes and ham. Creamy hollandaise sauce all over the plate. The potatoes were less amazing, but good enough with the sauce. Then there was the waffle and eggs special which also included bacon, hash browns and fresh berries. (Berries! Yes!) The waffle had some kind of extra almond flavoring. Both just under $10. 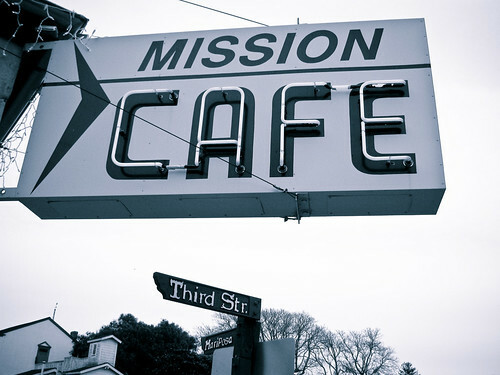 A special note of warning: there’s a rumor around the tiny town that Mission Cafe may be closing soon. Possible reasons varied, but if you find yourself in the area, go while you can.